Maintaining healthy wetlands and streams prevents further degradation of the Chesapeake Bay, which currently is impaired by nutrients and sediment. Wetlands detain stormwater, and they can remove nutrients and sediments from runoff. While streams do not provide detention, stream restoration typically reconnects the stream to the floodplain, increasing floodplain capacity. This slows runoff and streamflow, reducing the erosion of sediment and accompanying nutrients that occurs in unhealthy streams. Responding to environmental regulations like the Bay Act, WSSI has grown to an 85-person team, which Rolband says represents anything but a traditional civil and environmental engineering firm. The staff includes only 15 engineers, and the rest are different types of scientists focused on wetlands, streams, forests, and historic resources. Its staffing has made the company well-positioned to work on LID. “It was a natural merger of the expertise and the regulations,” Rolband said. 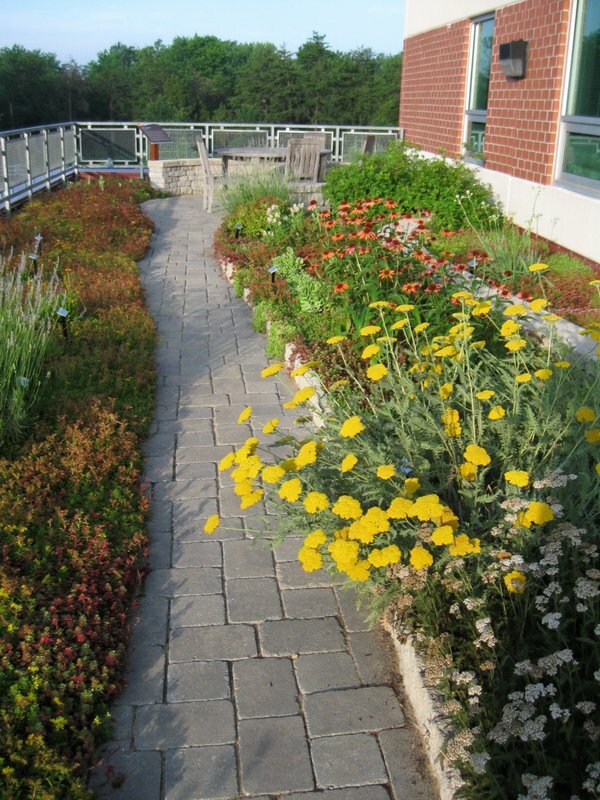 For WSSI, LID as a stormwater solution came into play about 15 years ago when the company was hired to figure out what had gone wrong on some municipal bioretention projects and determine how to fix them. “LID became a very personal interest of mine. It seemed like a great concept, but there were a lot of examples of failures,” Rolband said. Additionally, the Army Corps of Engineers began requiring LID as a wetland permit condition, so WSSI needed to understand it to help their clients achieve compliance. 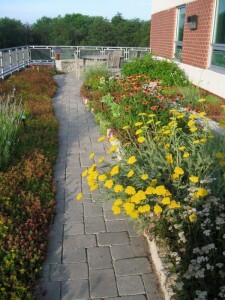 When the WSSI office was built in 2005, Rolband decided to walk the talk and made the site an example of LID replete with pervious pavers, asphalt, and concrete as well as a green roof, two cisterns, and a bioswale. In December, the WSSI office will be nine years old, and its LID facilities have functioned without problem. 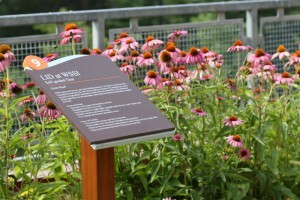 Further, they have required little maintenance outside of adding new mulch to the rain garden and vacuuming the pavers. 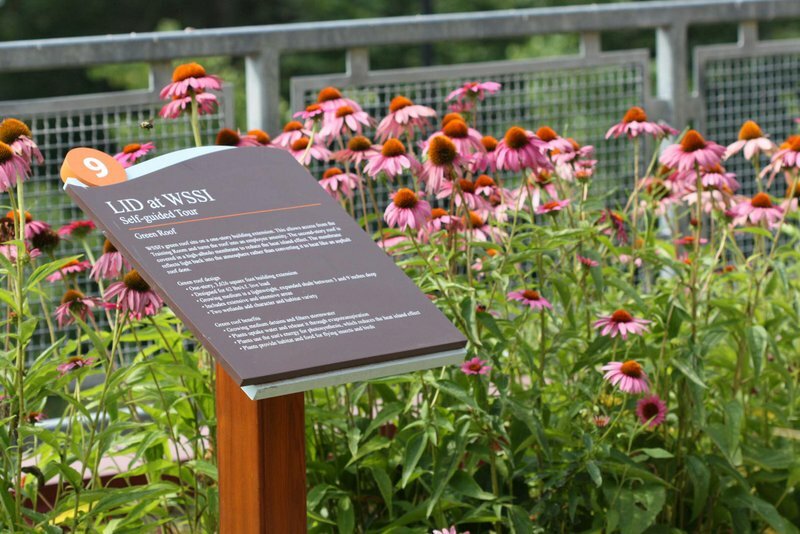 For instance, a 15,000 L (4000 gallon) indoor cistern collects rooftop rainwater that is used for toilet flushing — a scheme approved by the Virginia Health Department contingent upon adding signage above toilets telling visitors and staff not to drink the water. The cistern, sized to meet toilet flushing needs 95% of the time, has provided a reliable source of water for at least 5 years. “We have never run out yet. We actually use less water than we expected,” Rolband said. Though a yellow sticky note about 51 mm (2 in) from the bottom of the tank marks a time when the tank running dry was narrowly averted by a last-minute rain event. By actually constructing a full-scale LID project, WSSI has been able to demonstrate costs and maintenance needs and share lessons learned. 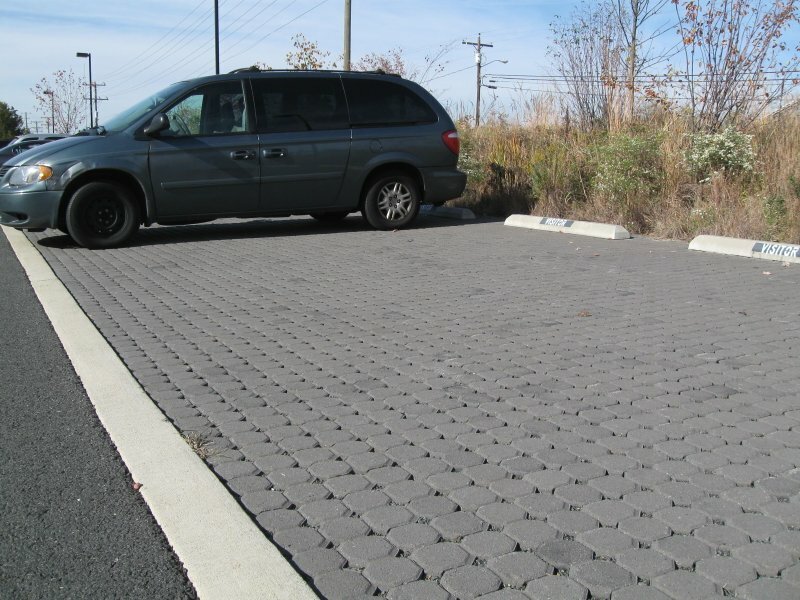 “For example, we have a little bit of gravel pave, and we learned that it is a bad product to use in an area where you have turning movements,” Rolband said. After analyzing various bioretention soil media in failed projects, WSSI also has found that some soil types react with sodium chloride rock salt, and permeability can decrease by a factor of five or more. The schedule for vacuuming permeable pavers is always a big question too, Rolband said. 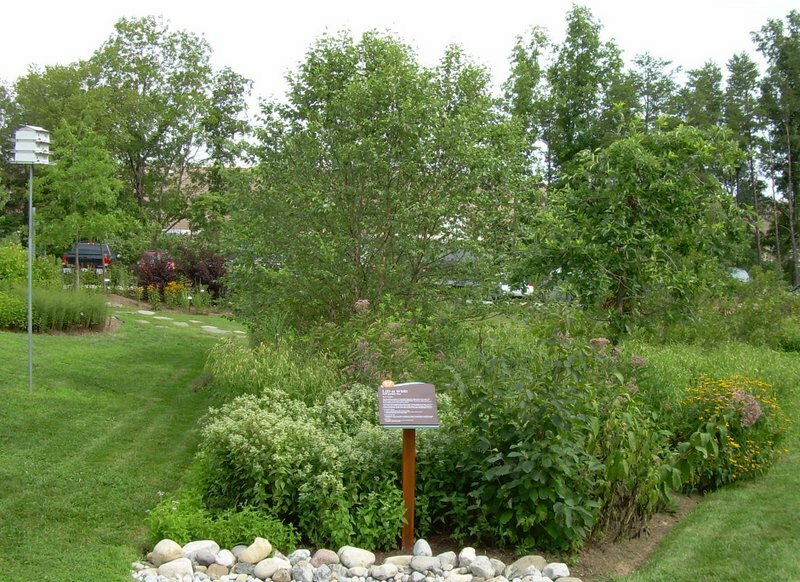 “My answer is that it depends on the users, land use, and vegetation.” At WSSI, their schedule is based on leaf fall because of the box elders, red maples, and pine trees lining the parking area, which drop needles and winged seeds. 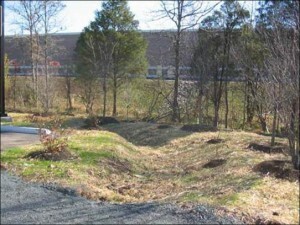 On other projects, maintenance professionals should look for dirt or trash accumulation. The facility has served as a living laboratory of sorts, and until this year, WSSI was monitoring flow rates on all of its practices. It found that peak flow rates were far less than forested flow rates, though the volume leaving the site was still higher. Practices installed at WSSI have provided Rolband’s team with experience and monitoring data, and have demonstrated to local decision-makers and developers the value in LID. “Instead of specifying something that is not going to work, then having LID given a bad name, we can show them it has a good name,” Rolband said. This spring, WSSI was brought into The Davey Tree Expert Company, which is a professional tree service group. According to Rolband, Davey Tree originally became involved in stormwater primarily from the angle of urban street trees and their stormwater benefits. So far it has been a very positive experience, Rolband said. “They are giving us, number one, a lot more depth in expertise on the natural resource side. We have about 15 arborists; they have thousands of arborists.” The acquisition also is providing WSSI the capital to grow, with plans to expand into the Maryland and Southern Virginia areas, and finally, it gives WSSI staff additional growth, learning, and travel opportunities as well. Well written article. Kudos to Mike and WSSI. Glad to see someone highlighting the good work they have done.